Read an excerpt, The Walk down the Rue du Bac. 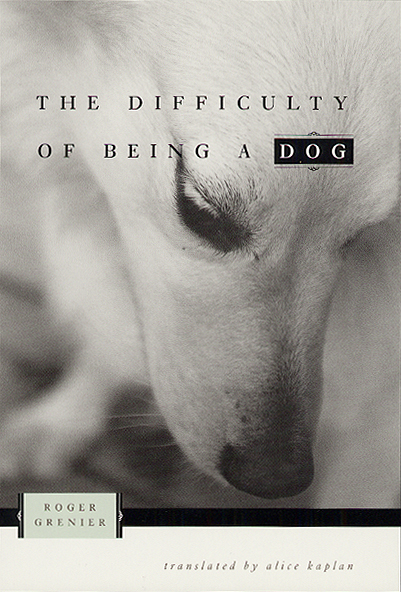 The forty-three lovingly crafted vignettes within The Difficulty of Being a Dog dig elegantly to the center of a long, mysterious, and often intense relationship: that between human beings and dogs. In doing so, Roger Grenier introduces us to dogs real and literary, famous and reviled—from Ulysses’s Argos to Freud’s Lün to the hundreds of dogs exiled from Constantinople in 1910 and deposited on a desert island—and gives us a sense of what makes our relationships with them so meaningful.